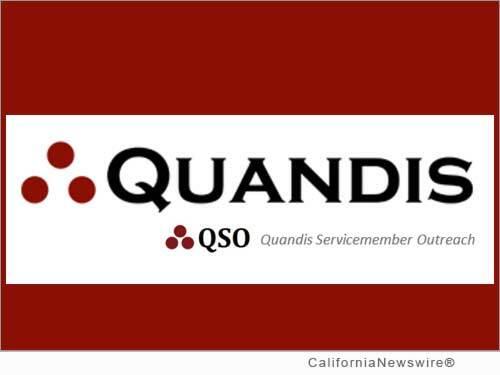 FOOTHILL RANCH, Calif. /California Newswire/ — Quandis, Inc., a leading provider of mortgage servicing software, today announced that it rolled out a website to help address President Obama's New Executive Actions to assist service members, veterans and their families. "The White House has spoken loud and clear: banks and servicers must make every possible attempt to locate active military personnel, make them fully aware of their benefits, and adhere to the SCRA," stated Scott Stoddard, CEO of Quandis. "It is completely remiss of banks and servicers to ignore the White House's request to partner with them and bring relief to service members, veterans and their families." In an official press release issued by the White House on August 26, 2014, President Obama outlined a program termed a "voluntary partnership" with financial lenders across the country to help deliver important financial and home loan-related protections to the military community. Part of the program is to prevent foreclosures on active duty personnel in accordance with the Servicemembers Civil Relief Act (SCRA) of 2003 by proactively querying the Defense Manpower Data Center (DMDC) for status no less than once a quarter, according to the White House. Several large banks and mega lenders have already partnered with the White House and committed to implementing its provisions. The official White House news release, as issued by the Office of the Press Secretary, can be found here: http://www.whitehouse.gov/the-press-office/2014/08/26/fact-sheet-president-obama-announces-new-executive-actions-fulfill-our-p .
Quandis has an existing standalone military search service that is currently in use by foreclosure attorneys, servicers, banks, lenders and third party outsource providers. Organizations can learn more about the new Quandis Servicemember Outreach (QSO) website by visiting https://qso.quandis.net/ . On the website is a brief video that describes the program in greater detail. Founded in 2003 and headquartered in Foothill Ranch, California, Quandis is a leading mortgage servicing software provider specializing in web-based solutions for the mortgage banking industry. Quandis' solutions include foreclosure process automation, valuation software, military search services, bankruptcy status searches, short sale portals, skip tracing systems, collection solutions, vendor solutions, as well custom application development. The company's clients range from servicers, to foreclosure attorneys, lenders, banks, GSEs, outsourced service providers, and agents and brokers. For more information, please visit http://www.quandis.com or call (949) 391-9029.